The Annual Goat Field Day is an interactive, community driven activity in which lay individuals are introduced to the world of ruminant husbandry by industry leaders and specialists. 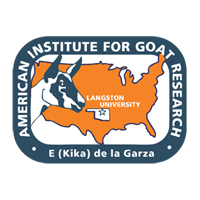 This year's Field Day will take place on Saturday, April 27, 2019, at the Langston University Goat Farm with registration beginning at 8:00 a.m. Click here for further information. View information for our upcoming Field Day. Each link below will open a .pdf of previous year's activities and reports.